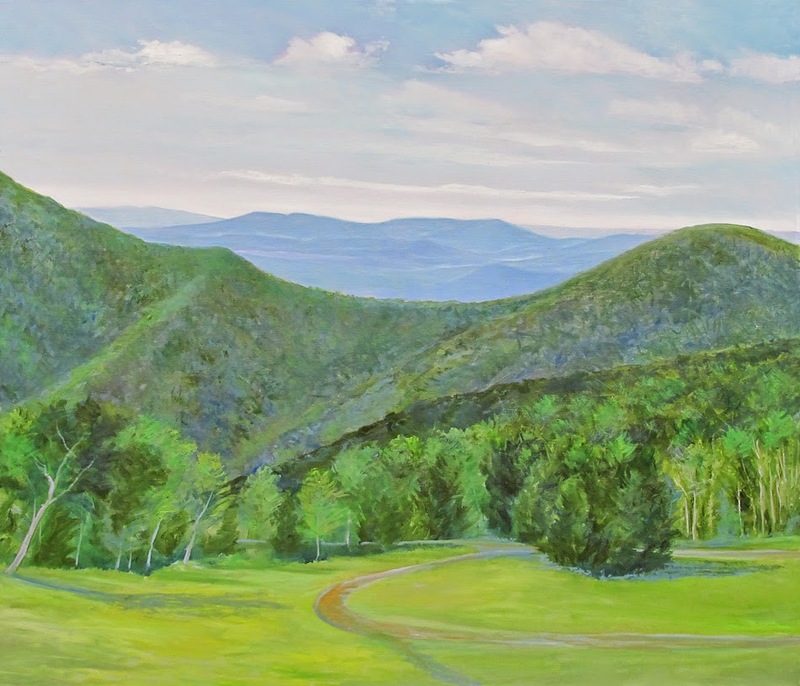 A commission for Nancy and Michael from their deck up at Wintergreen, looking north east to Charlottesville. I didn't know that on a clear day you could see that far! 36" x 42" oil on canvas, framed. Thanks Nancy & Michael!